Phillips just set two price records for wristwatches sold at auction in Asia during its recently concluded second Hong Kong watch auction. Of the HK$150m (or US$19.4m) raised during the sale, a full quarter – over US$5m – came from two watches. A Patek Philippe ref. 2499 third series in pink gold sold for HK$19.7m (or US$2.54m) after a drawn out tussle between two telephone bidders – one speaking Mandarin and the winner, French – becoming the most expensive watch sold at auction in Asia. One of just six pink gold third series 2499s, the rarest variant of the model, this particular specimen might also be a one-off thanks to its flat dial. The same watch sold at auction 12 years ago for SFr965,000, proving that quality is timeless. 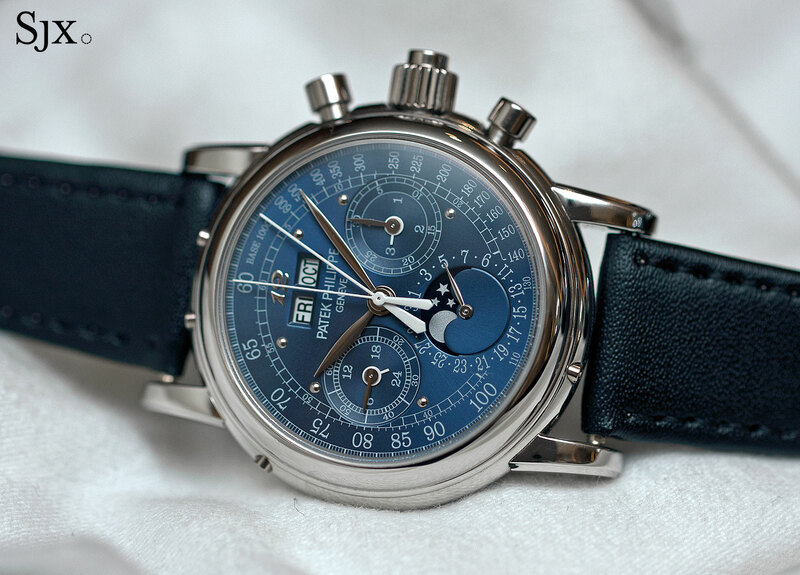 The other major watch of the afternoon came just five lots later when the Patek Philippe ref. 2523/1 World Time in pink gold sold for HK$19.5m (or US$2.51m) – the most ever paid for this reference. One of just three known to exist – the last one sold 18 years ago and other is in the Patek Philippe Museum – this ref. 2523/1 is in pristine condition and has an uncommon guilloche dial centre. Though many modern complicated timepieces garnered lukewarm results, another highlight of the sale was Eric Clapton’s Patek Philippe ref. 5004P with a one of a kind blue dial. It sold for HK$6.28m (about US$808,236), showing that high prices are possible for truly notable watches. Also outstanding was the Rolex ref. 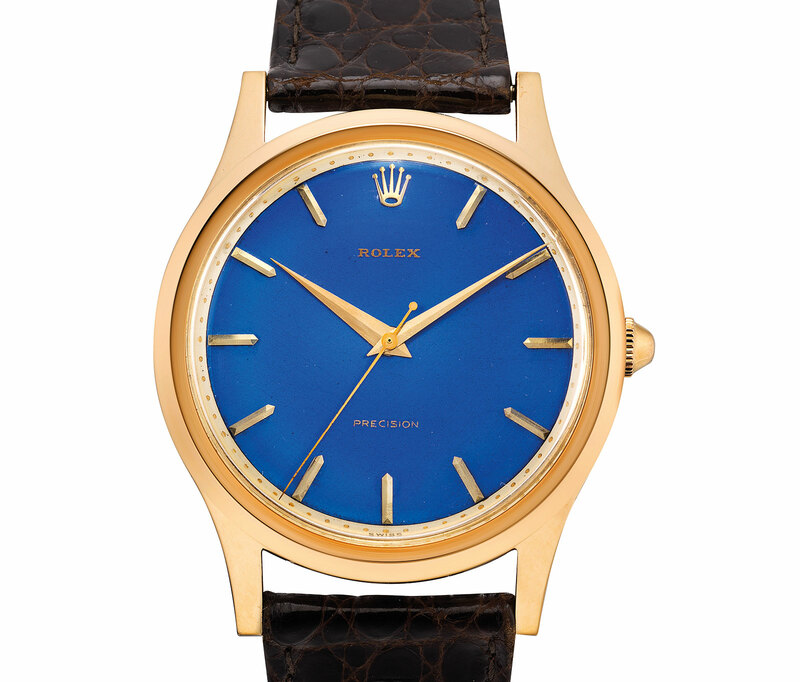 8382 in pink gold with a bright blue enamel dial, a departure from the typical sports Rolex watches that dominate auctions. Striking but simple looking, this rare bird sold for HK$1.9m (about US$245,000). Despite some slow segments with consecutive lots passed, the sale nonetheless validates Phillips’ strategy of heavily publicised auctions with exceptionally valuable, star watches – resulting in post-sale headlines that write themselves. The number of such headline grabbing timepieces, however, is by definition limited, so the team at Phillips have their work cut out for them. Full results of the sale can be found here. Sotheby's has just sold the Patek Philippe Henry Graves Supercomplication for 23.2 million Swiss francs, or US$24 million, to a unsurprisingly, victorious bidder - making it the most expensive timepiece ever by a wide margin. We bring you a quick rundown of the sale right here.